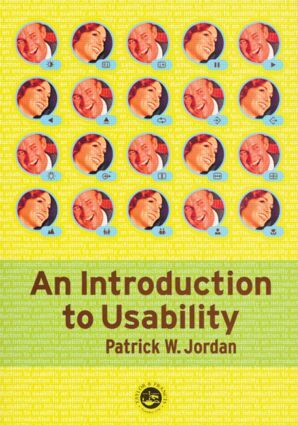 This work gives a broad introductory overview of the topic of usability. Firstly, usability is defined and a framework for identifying different aspects of usability is given. The main principles for creating usable designs are expounded, followed by practical advice as to how to design usable products. The book then tackles the issue of usability evaluation - a series of evaluation methods are described, followed by practical advice as to how to conduct the evaluation. The book draws on examples from software design and product design generally. This means whilst human-computer interaction HCI is a central issue in the book, other usability issues are also covered. Introduction - usability; aim and contents of book; scope of book and limitations; who is the book for? What is usability? concept and definition; the components of usability; why usability is important; measures of usability. Principles for usable design - consistency; compatibility; consideration of user resources; feedback; error prevention and recovery; user control; visual clarity; prioritisation of functionality and information; appropriate transfer of technology; explicitness. Designing for usability - specifying user characteristics; requirements capture; usability specification; iterative design and prototyping. Methods for usability evaluation - empirical methods; non- empirical methods. Conducting a usability evaluation - purpose of the evaluation; selecting evaluation participants; type of data required; constraints and opportunities; reporting and evaluation; case study - evaluating a software based statistics package; conclusions.